Join Harvard Business School (HBS) Professor Bill George and former Juniper Networks CEO Scott Kriens for a journey to discover your True North and become a better leader. True North Leadership is based on Bill’s groundbreaking courses at HBS that have helped more than 10,000 leaders, and the Leadership Circles that Scott pioneered so effectively at Juniper. Lead an integrated life that enables you to integrate your work with your home life. This program is a unique opportunity to transform your leadership through open exploration and prepare yourself for greater responsibilities going forward. It is targeted for leaders in nonprofits, foundations, education, small and large business, entrepreneurial companies, medicine, media, military, and government. Leaders at all stages of their careers from non-profit organizations, government, business, health care, military, foundations and media who want to become more effective leaders by improving their capacity to lead. You will be surrounded by peers from other fields who are earnestly trying to become better leaders. Through the Leader Circles, you will have many opportunities for personal sharing and intimate discussions. Scholarships are available to successful applicants. 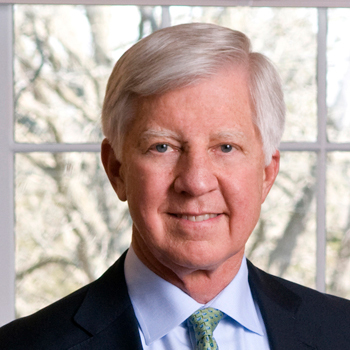 Renowned authority on authentic, inspired leadership Bill George is senior fellow at Harvard Business School, where he has taught leadership since 2004. He is author of several books, including the best sellers 7 Lessons for Leading in Crisis, True North, Finding Your True North, and Authentic Leadership. Bill is former chairman and chief executive officer of Medtronic and currently serves as a director of Goldman Sachs and the Mayo Clinic. He has served on boards of prestigious organizations, including ExxonMobil, Novartis, and Target Corporation, and as board chair for Allina Health System and Abbott Northwestern Hospital, among others. Earlier in his career, Bill was a senior executive with Honeywell and Litton Industries and served in the United States Department of Defense. A trustee of the World Economic Forum USA, Bill has been awarded numerous honorary PhDs and awards, including the Bower Award for Business Leadership from the Franklin Institute. He has been named one of Top 25 Business Leaders of the Past 25 Years by PBS; Executive of the Year in 2001 by the Academy of Management; and Director of the Year 2001–02 by the National Association of Corporate Directors. Bill is a CNBC contributor and has made frequent appearances on television and radio.